Nominations and entries for the 2019 FTA Multimodal Awards are open, and snooker legend Steve Davis, OBE, has been announced as the host of the gala event. The FTA Multimodal Awards recognise best in class across all modes of transport and logistics services, including categories for Shipper of the Year and Young Logistics Professional, as well as the Multimodal Personality of the Year Award. The winners will be announced on 18th June 2019 at an awards ceremony on the first day of the Multimodal show, and nominations can be made online until 29th March 2019. 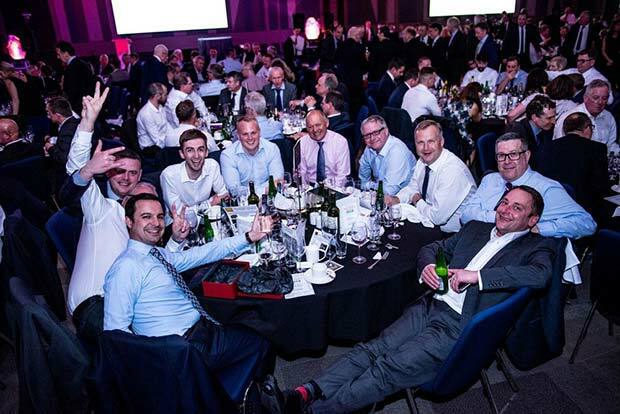 “The FTA Multimodal Awards night is an important event at Multimodal and provides a platform to recognise outstanding achievements in the industry, while championing young professionals, and highlighting innovation and good practice,” said Robert Jervis, Logistics Portfolio Director at Clarion Events. Nominations for the services awards, which include Air Cargo Operator of the Year and 3PL of the Year, are voted for by the thousands of readers of the Multimodal newsletter, exhibitors at Multimodal 2019, and FTA members. The Young Logistics Professional and Shipper categories are judged by a panel of industry leaders, which this year includes; Stavros Evangelakakis, Head of Global Healthcare, Cargolux, and Chairman of the Cool Chain Association; Daniel MacGregor, Co-founder at Nexiot; Peter Ward, Chief Executive Officer of the UK Warehousing Association; James Hookham, Deputy Chief Chairman, Freight Transport Association; Adele- Louise Carter, Liverpool – Humber Optimisation of Freight Transport Project Manager, P&O Ferries; and Jervis. Over 650 guests are expected to attend the winner’s VIP dinner and ceremony at the VOX Conference Centre, Resorts World at the NEC Birmingham, on the first day of the Multimodal 2019 exhibition. Nominations can be made online at multimodal.org.uk/awards Multimodal, now in its 12th year, is a three-day free-to-attend exhibition and conference, which takes place from the 18th to the 20th of June 2019 at the NEC Birmingham. Brexit lessons and opportunities, harnessing disruptive power, and transforming northern freight flows are just three of the topics to be examined, with the full list of sessions available at multimodal.org.uk Now in its 12th year, Multimodal is the UK, Ireland, and Northern Europe’s premier freight transport, logistics and supply chain management event. In 2019, Multimodal will include the latest technological innovations to enter the industry, including AI and Blockchain. It will feature a series of topical seminars including patterns of global trade, disruptive technologies, the impact of Brexit, and trends and opportunities in modal shift, as well as hosting a Shippers’ Village, providing freight buyers with a private space to meet logistics suppliers. On the final day of Multimodal 2019, we will be supporting young talent within the industry by launching a new initiative to address tomorrow’s leaders by focusing on apprenticeships, training, upskilling, education, and recruitment specific to the sector. Multimodal 2018 was attended by over 9,200 supply chain decision makers and more than 300 exhibitors. Multimodal 2019 takes place at the NEC, Birmingham, UK from 18th to 20th June 2019.